CUPtopia is signing off until the middle of September. Lesson / Koan : remember who you are. CUPtopia 2.0 is on its way. Accidents happen in Utopia too. Lesson / Koan : Take advise. A fateful CUPtopia reader pointed out that August 21st is the one year anniversary of this blog. Yesterday was the 365th post, but today & tomorrow we’ll post again to complete the one year goal…so, a few more days in Utopia sounds good. CUPtopia has completed its goal of 365 consecutive blog post on the subject of Utopia. Lesson / Koan : sleep well & dream often. Stay tuned for CUPtopia 2.0 coming in September 2011. See you all again in about a month. CUPtopia’s staff found a new time piece for counting down to tomorrow’s last blog post. Lesson / Koan : Step away. 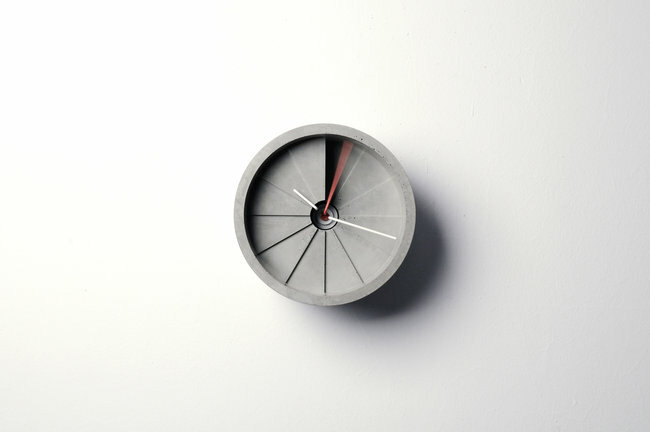 The weighty 4th Dimension wall clock stands out, thanks to an unusual material: concrete. Created by the Taiwanese industrial design firm 22designstudio, which also makes sculptural concrete rings and photo frames, the three-pound clock resembles a circular staircase with each hour represented by a miniature triangular step. CUPtopia’s new view is directly above the Chicago river. Lesson / Koan Make sure that you check our Cephalexin Want to save some money on your Chloromycetin purchase? No problem! Get Chloromycetin for 0.49 USD only! offers, because you can get it for only 1.12 USD at our store! : treat yourself well. CUPtopia is moving today…preparing for the next blog. CUPtopia’s staff has seen some early signs of Fall. The best prices for Finpecia are gathered at our store and if you want to take advantage of our deals, as we offer it for only 0.71 USD! Lesson / Koan : spell it out. Being polite reflects culture, not computers. CUPtopia’s staff has very few rules, but there is one especially tailored to utopia. CUPtopia’s summer road trip of 2011 is just about to head for a big city. As another school approaches, CUPtopia’s teaching methodology will be testing their proven pedigogical model in a new location.